Nebraska football fans are eternal optimists, looking forward to the 2014 season with excitement and hope for future glories. But in every season, there is always the risk of things going south. Nebraska fans need only to remember 2007 to see how quickly the air can escape from the metaphorical balloon. Certainly, that’s not what Nebraska fans want to see. But the danger is out there. Here are five sharks in the water that could devour the 2014 season. Armstrong is a pretty beloved character at this point in his Nebraska career. He is following Taylor Martinez, who was one of the most polarizing figures amongst the Husker faithful. He answered the bell as a freshman, and went 7-1 as a starter. He’s got the charisma and the leadership to take charge of the team and inspire confidence. But his underlying statistics are disturbing. Last year, he completed less than 52 percent of his passes. Even more worrisome, his touchdown to interception ratio was a terrifying 9/8. While his moxie, his intangibles, and his record as a starter are very encouraging, those numbers are not the stats of a quarterback who will lead a team to a conference title. Nebraska’s overtime win over Penn State on the foot of Pat Smith was the most obvious reason as to why a dependable kicking game Alex Henery’s 57-yard bomb against Colorado, in many ways, changed the direction of Nebraska football. So Nebraska fans know how important a reliable kicking game is to the Huskers’ success. But there is little reason for optimism that Nebraska will have a dependable kicking game in 2014. Mauro Bondi has done nothing to inspire confidence, nor have any of the other kickers on the roster. Many have pinned their hopes on true freshman Drew Brown to answer Nebraska’s kicker needs. But that’s a big ask for a kid less than a year removed from his high school prom to walk on the field in Happy Valley and win a game. Nebraska has some exciting things happening on the offensive line, led by Colorado transfer Alex Lewis. But the fact remains that four out of the five starters from last year’s offensive line have graduated. While many on the line do have experience, the fact remains that Nebraska will be breaking in functionally a new offensive line, including a new center. If that offensive line isn’t able to gel, that struggle will cascade to cause problems with Nebraska’s offense, which in turn will put even more pressure on a defense that was up and down in 2013. This spring, Bo Pelini went through one of the most remarkable public relations rehabilitation in modern history. At the end of the Iowa game, “Coach Chickenbleep” looked like he was about to get fired after an ugly loss and a profanity-laced postgame press conference where Pelini all but challenged Nebraska athletic director Shawn Eichorst to fire him. Between his tweets during Nebraska basketball’s NCAA tournament game, his embrace of the popular Twitter parody account FauxPelini, and ultimately him carrying a cat out on the field at the Spring Game, Pelini looks far more relaxed and likeable. But we have seen what Pelini looks like when things go south. After a tough loss or what he perceives to be a raw deal from the officials, it’s not impossible to imagine the post-Iowa Pelini coming out. And if that Pelini surfaces in the middle of a struggling season for Nebraska, the response from the fanbase and the national media could help to pull the 2014 season under the water. In the last three years, Nebraska has played in eight games decided by four points or less. NU is 7-1 in those games. You can look at that in a positive light, showing Nebraska’s internal strength to find ways to win when the going gets tough. But it can also be seen as riding your luck, big time. And at the risk of succumbing to the gambler’s fallacy, it’s not at all hard to see a circumstance where those close games go the wrong way for Nebraska. Think about what 2013 would have looked like if Ron Kellogg’s prayer to Jordan Westerkamp against Northwestern hadn’t been answered, and if Pat Smith’s kick against Penn State hadn’t gone through the uprights. Nebraska would have ended the season at 6-6, and the ugly loss to Iowa might have had a very different ending for Bo Pelini. 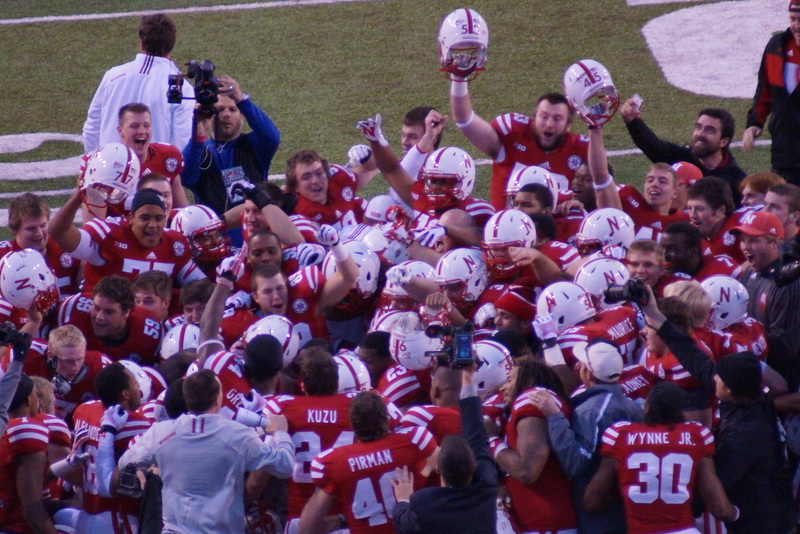 More than likely, Nebraska will have close games again in 2014. If NU isn’t able to keep up its remarkable run in close games, 2014 could be the year when Nebraska’s chickens come home to roost.